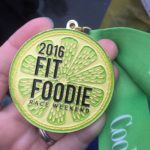 The 2016 Fit Foodie 5K Race Weekend in Fairfax, Virginia is just 2 weeks away! 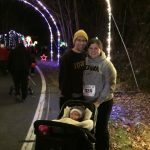 This will be my third year running the 5K (2014 and 2015) and I really hope those in the DC area will join me! The Fit Foodie Weekend, May 20-22, starts on Friday evening with a Party with a Purpose. Party with a Purpose – Friday, May 20 6PM-8PM – The Fit Foodie is more than a race, its a celebration of all the delicious things in our life that passionately fuel us. 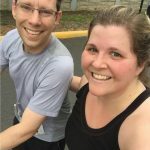 From fitness, to great food, and finding purpose in our every day, Fit Foodie inspires, uplifts, and has a ton of fun while doing it. For an added bonus, bring your old, tired tennies and donate them to our collection for Soles4Souls! In true Fit Foodie Fashion, yummy bites will be provided by True Food Kitchen, and you’ll spend the evening mingling with editors for Cooking Light and Health and have the chance to win some seriously amazing SWAG. 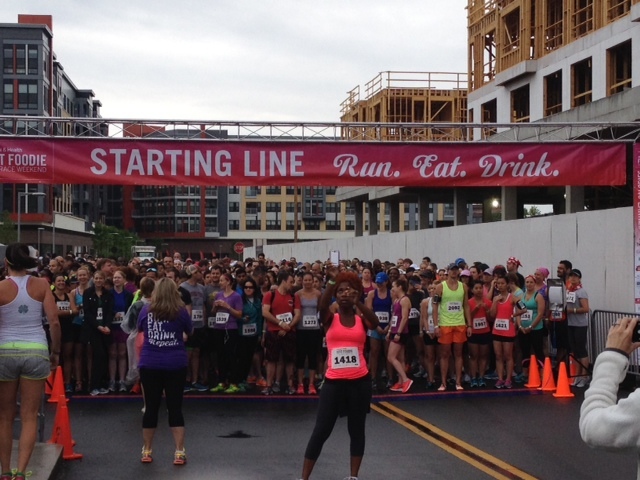 The Race Weekend continues Saturday morning with the Fit Foodie 5K! The race starts in the heart of the Mosaic District, the race route goes through the District and into the surrounding neighborhood. It’s an easy route and a pretty relaxes race. Bring your friends, families, strollers, and/or pooches! Anyone is welcome! 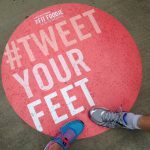 All readers can get an awesome Fit Foodie 5K Race Weekend discount by using the code COFFEECAKECARDIO at checkout. This will give you a 10% discount on any or all registrations. The weekend closes out with an amazing sweat session presented by Equinox at the Mosaic District. Sweat Session – Sunday, May 22 9AM-11AM – Get ready to unleash your fighter spirit and master total-body engagement at the Sweat Session with Equinox’s newest signature class, The Cut. This 45-minute cardio boxing workout will train you to move, look and feel like a champion while kicking you into high gear with explosive playlists that power you through five rhythmic, relentless rounds. After the Sweat Session, you’ll be rewarded with a tasty refresh station to refuel and replenish. This is Fit Foodie, after all! 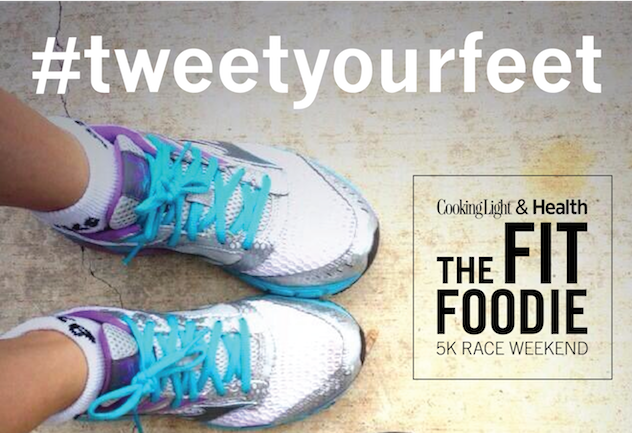 I hope you’ll join me at the Fit Foodie 5K in Fairfax, Virginia on May 21, 2016!! I also love seeing readers. It’s a really fun race and a great weekend to spend with friends and loved ones. 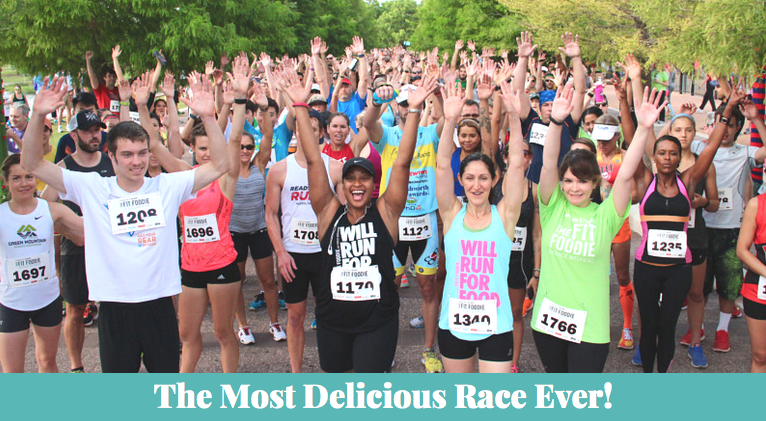 Tickets for the Fit Foodie 5K Race are priced at $35 until April 25, 2016, and $45 until May 21, 2016, so be sure to register before prices increase! If you use the discount code COFFEECAKECARDIO you can get a 10% off online ticket sales! Looking to get the VIP treatment? New this year is the Fit Foodie Premium Package, which includes admission to the 5K Race, a Fit Foodie participation tank, a $5 tax-deductible donation to the Fit Foodie Official Charity, and more. Tickets for the Premium Package are priced at $55 until April 25, 2016, and $65 until May 21, 2016. Tickets can be purchased at www.fitfoodierun.com.